She accomplished in verse what Betty Friedan, author of "The Feminine Mystique," did in prose. In describing the stifling minutiae that had defined women's lives for generations, both argued persuasively that women's disenfranchisement at the hands of men must end. For Ms. Rich, the personal, the political and the poetical were indissolubly linked; her body of work can be read as a series of urgent dispatches from the front. 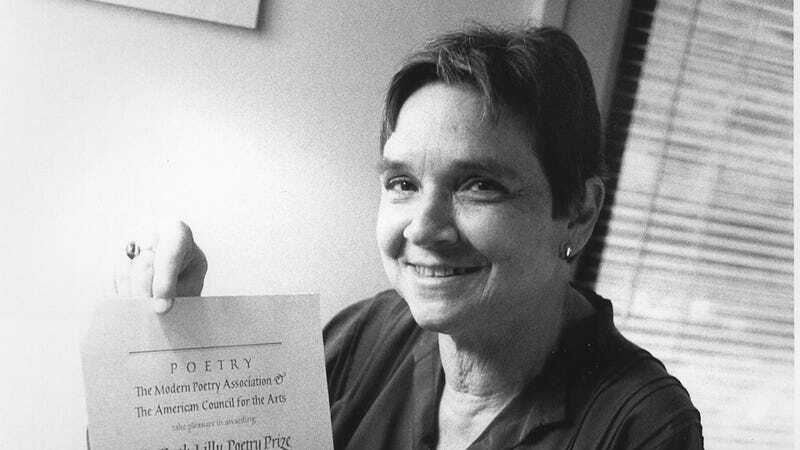 Between her poetry and her prose, Rich published more than 30 books. Her poetry books have collectively sold more than 800,000 copies, and her work has been widely anthologized. She received many awards and honors in her life, including a MacArthur "genius" grant, a National Book Award for poetry, the Bollingen Prize for Poetry, the Academy of American Poets Fellowship, and the Ruth Lilly Poetry Prize. She was also a well-respected professor who taught at many prestigious universities. Rich graduated from Radcliffe College in 1951, and, in 1953, she married a Harvard economics professor. They had three boys together, but they gradually split, and in 1970, he committed suicide. In 1976, she came out as a lesbian and has lived with her partner, writer Michelle Cliff, for the past 30 years. She died at home in Santa Cruz, California, from complications of rheumatoid arthritis, a disease which she had for most of her adult life.